170XL037 Timing Belts have 85 Teeth, 17" Pitch Length: Replacement timing belt for exercise equipment, office machines, hobby tools, machine tools, postage handling equipment, sewing machines, vending machines and more! 170XL Belt for Graphic Wizard Crease Master Plus (CM Plus). 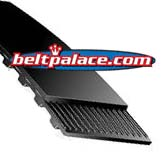 170XL-037 Belt for Powr-Flite PFX900s carpet extractor. 170XL025 Timing belt. Industrial Grade. 170XL025 HTD Timing Belt. 17.0� Length, 85 teeth, 1/4� Wide. Neoprene HTD 170XL-025 Timing belt 170XL-025. Industrial Grade. 170XL031 Belt. PREMIUM BANDO USA TIMING BELT. 17� Length OC (432mm). 85 teeth. 5/16� (.31 inch) wide. 1/5� (.200�) Tooth Pitch. 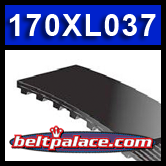 Replacement �170-XL Series� Timing Belt. 170XL050 Belt. PREMIUM BANDO USA TIMING BELT. 6� Length OC (432mm). 85 Teeth. 1/2" wide. Replacement 170-XL-050 Timing Belt.